Who said training couldn’t be a treat? 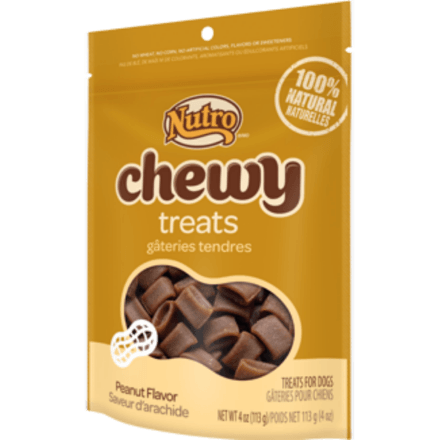 NUTROTM Chewy Treats Peanut flavour recipe is made with 100% natural ingredients and real deboned chicken to deliver a great taste and chewy texture that your dog will find irresistibly delicious, so they’re perfect for training, or just a special snack. 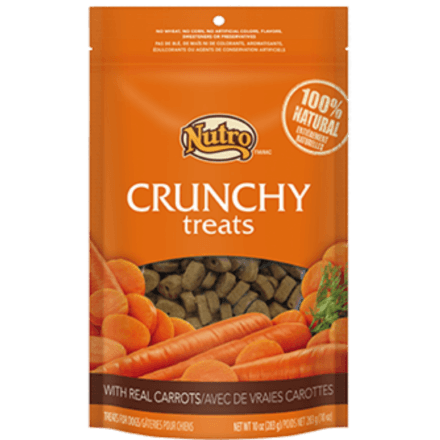 Best of all, our treats don’t contain wheat, corn, artificial colours, flavours or sweeteners.